Whether you are an upper classman living off campus, a freshman living at home, or married with children, the Grace community is your community. Spend some time on campus outside the classroom and get connected. We want you to feel at home at Grace, even if you don’t live here. Student activities, athletic events, and special banquets are for all students whether living on campus or commuting. Take advantage of the fitness center and intramural athletics to keep in shape. 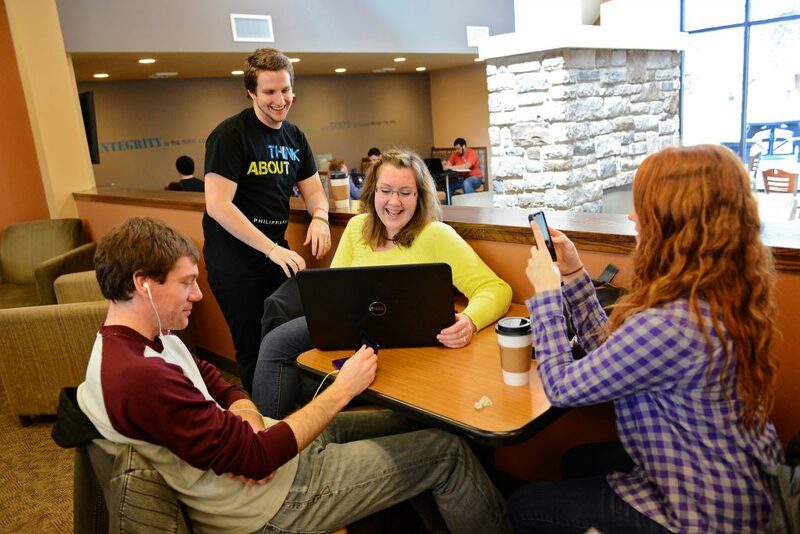 Connect with students in Chapel, the Student Commons or the Library. Buy a meal or bring a sack lunch to eat in the Dining Hall. A la carte options are available at Kahawa Café. As a student who commutes, you are important to us – get involved. Information regarding campus wide class cancellations will be posted on local television and on campus alert systems. For a variety of reasons, Grace Christian University rarely cancels classes due to inclement weather. Commuter students who believe conditions are unsafe to drive to campus due to inclement weather are expected to communicate this to professors by the end of the scheduled class session in order to be granted an exception to the attendance policy. Any assignments are still due unless otherwise approved by the professor.